Get ready for some sizzling summer fun, food and free entertainment at the MCAS Futenma Flight Line Festival Saturday, Sep. 24 and Sunday, Sep. 25. Once again this year, the Flight Line Fest will offer cool countermeasures to the summer heat in the form of cool treats and a static display of the coolest members of the aviation world. 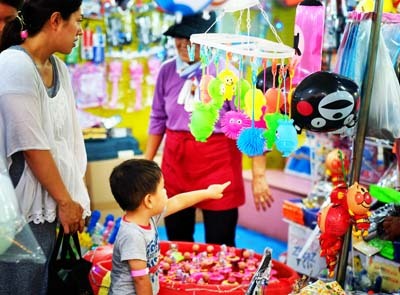 Visitors of all ages are guaranteed to have a good time at Futenma Flight Line Fest. This year’s event will also feature a car show starring the most radical rides on Okinawa’s roads. 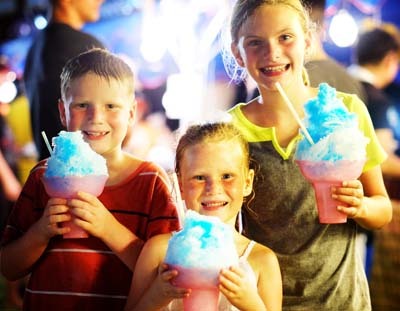 The 2016 Flight Line Fair will be held from noon to 9 p.m. both days. This annual festival welcomes all service members, their families and Japanese to partake in a weekend of festival fun with favorite festival attractions for all ages including Fun Land’s rides and bouncers, game booths and delicious cultural foods from Okinawa and new food offerings from MCCS. Starting this year, hungry revelers can enjoy U.S. staples such as sizzling Bulldogs Bites, succulent BBQ beef brisket and juicy chicken from Hickory House All-American BBQ, Shisa Pizza Express pizza and wings, and, for patrons 18 years of age and older, refreshing beverages from Kanpai Lounge. There’s something for everyone at the fair. Festival-goers interested in military aircraft will have ample access to a dizzying collection of propellers and wings. 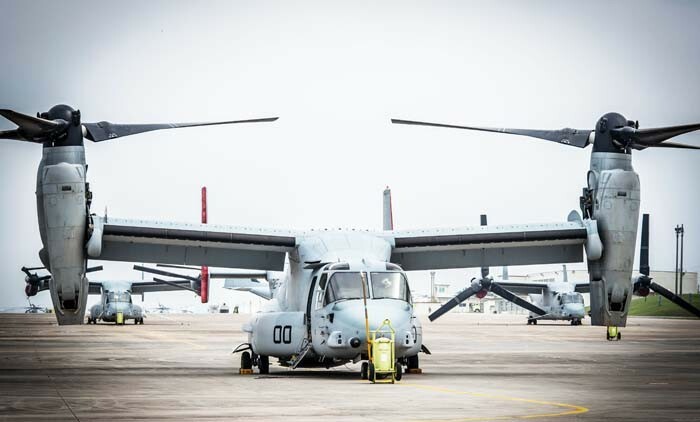 Showcasing the best that Marine Corps aviation has to offer, a static display is slated to include both fixed-wing and rotary aircraft. Meanwhile, the festival stages will host a variety of acts including dance, music, martial arts demonstrations and more on both days. A great lineup of daytime and evening entertainment is in store including a performance by Grammy Award-winning country artists The Band Perry on Saturday at 7:15 p.m. courtesy of the Exchange and Pizza Hut. Displays of aircraft are always favorites among visitors. A fireworks display will finish off the festival with a bang both nights at 8:50 p.m. While at the Futenma Flight Line Fest, attendees 18 years of age and older will also have the opportunity to visit our sponsors booths to enter to win various overnight stays for two with breakfast, courtesy of luxurious resorts including Sheraton Okinawa Sunmarina Resort, ANA InterContinental Manza Beach Resort, Okinawa Grand Mer Resort and Kafuu Resort Fuchaku Condo-Hotel. 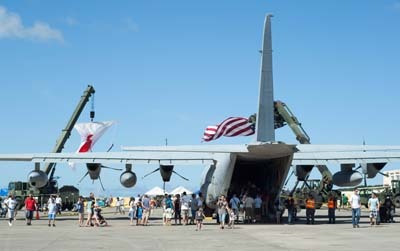 Admission to the Futenma Flight Line Festival is free and open to all SOFA status and Japanese island-wide. No one will be admitted with pets, outside alcohol, bottles, coolers or backpacks. Gates will be closed to entry at 8 p.m. both days. Free shuttle buses will provide transportation to and from designated parking lots on the base. As always, MCCS encourages everyone to drink responsibly and do not drink and drive. Daiko and taxi services will be available. For more information, call 098-970-5828, visit MCCS website or visit MCCS Entertainment on Facebook.